Kiss me I’m Irish! 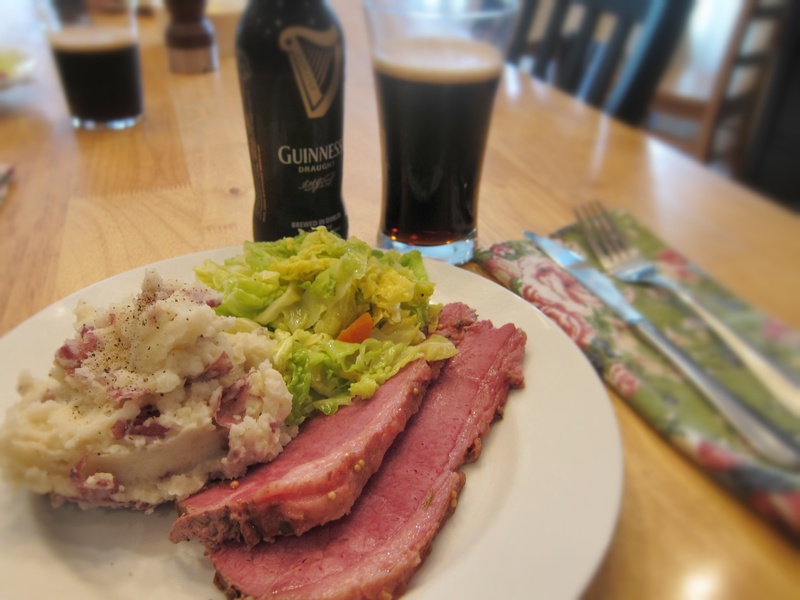 On St. Pat’s Day everyone gets to be Irish. Do you celebrate? Also, I’m sorry there are no pictures right now. I’ve been making this meal for years and believe it or not, I’ve never taken pictures. Well, it’s usually all gone before I can! I plan on taking pictures on Saturday then updating. Okay? In a large Dutch oven add the beer and the spice packet that comes with your brisket, bring to a boil. Add the brisket and any juice that has accumulated in the package to the pot. Cover with water until the brisket is just covered. Clamp the lid on and reduce the heat to a simmer. Cook for 2 1/2 to 3 hours or until the meat is tender. 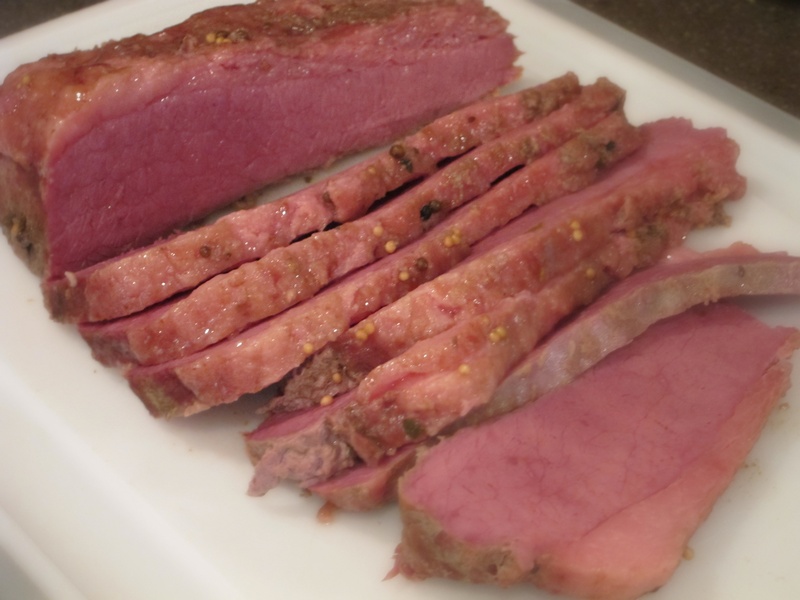 Slice the meat crosswise to serve. Core and shred the cabbage into about 1/4 inch strips, shred the carrot. Heat a very large saute pan or large pot over medium high heat and melt the butter. 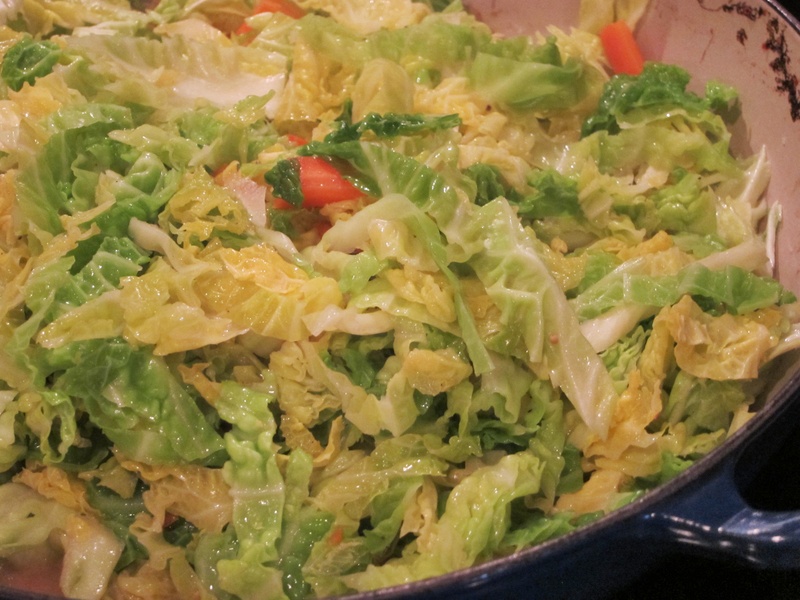 Add the cabbage and carrot and toss to coat in the butter. Add salt and pepper and brisket cooking liquid. Cover with a lid for about 3-4 minutes. Saute until the cabbage is tender-crisp and just wilted. Cover completely with water and boil for 15-20 minutes or until tender and soft. Drain the potatoes and return them to the pot. With a potato masher or wooden spoon smash the potatoes until some are creamy and some are chunky, you want some texture. Add the butter, salt and pepper and stir gently. Add the cream in small increments until the potatoes are moist but not runny, you might not need all the liquid. Serve warm. Butter, then line the bottom of a 9 inch spring form or high sided cake pan with parchment paper. Set aside. Mix all the rest of the ingredients in a large bowl until well combined. Pour into the waiting pan and bake for 40-50 minutes or until a toothpick inserted into the middle of the cake comes out clean. Let cool for about 10 minutes and then de-pan and remove the parchment paper. 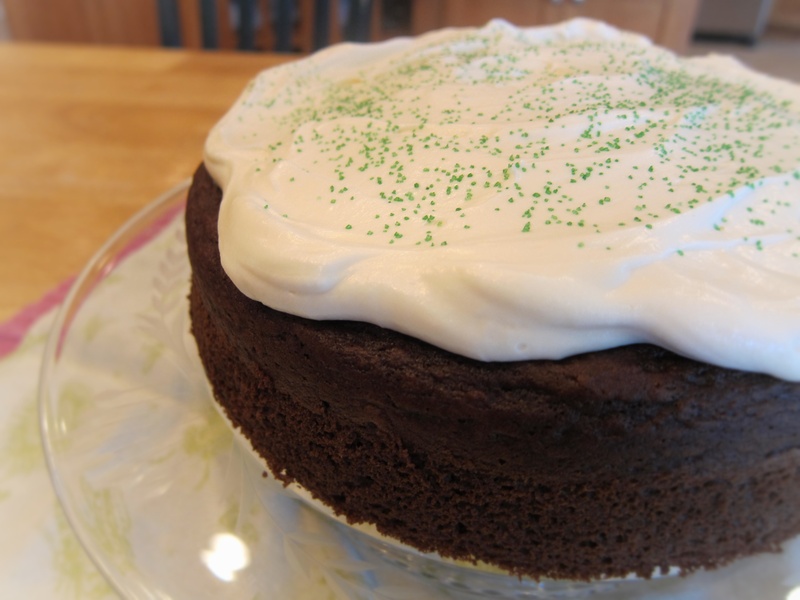 Allow the cake to cool completely before frosting it. Whip the cream until soft peaks form and set aside. Add the cream cheese to the bowl of an electric mixer (or use a hand mixer). Whip the cheese until it is fluffy then add the powdered sugar. Whip the sugar into the cheese on low-speed. Fold the whipped cream into the soft cheese mixture until well combined. What to do with those lovely leftovers? Do I really need to ask? In a large non-stick saute pan melt the butter over medium high heat. Add the potatoes in an even layer along the bottom of the pan. 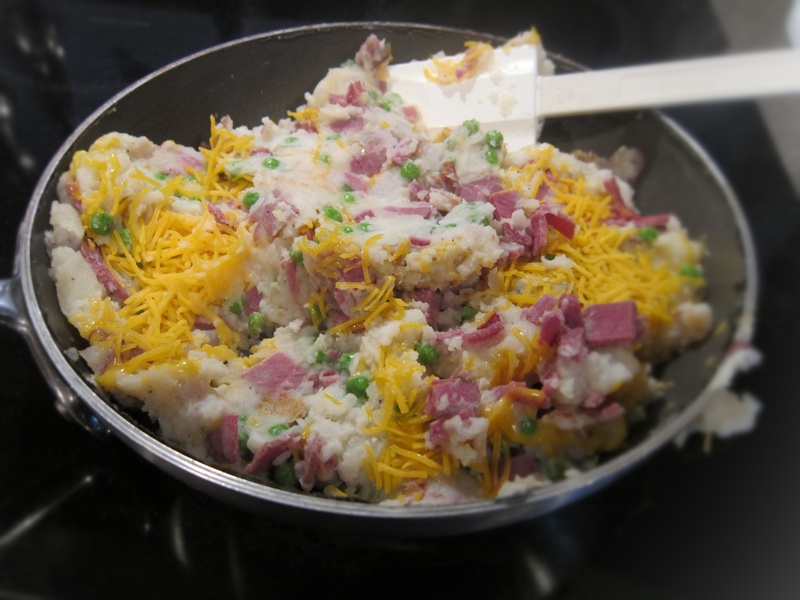 Add the shredded corned beef and thawed peas as the next layer. 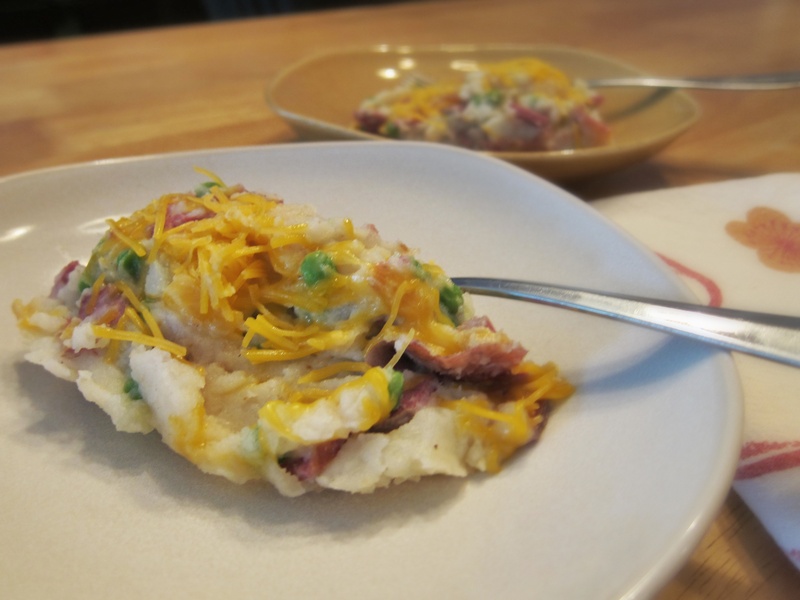 Cook until the potatoes are crispy along the bottom and the meat is warmed through. Give the layers a gentle fold to slightly combine the ingredients and sprinkle with the grated cheese before serving.